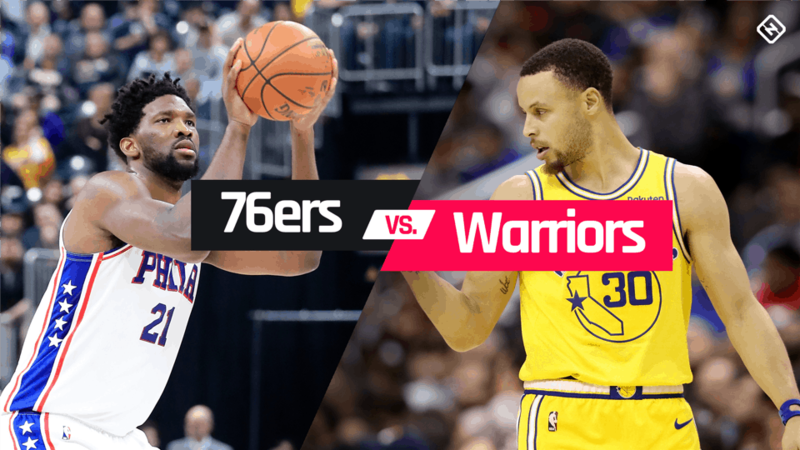 The Golden State Warriors and Philadelphia are all set to face each other for the first time in the series and it’s yet to see whether 11 wins game streak of Warriors will be broken or not. The game can be watched through TNT, FuboTV or NBA league pass. The heated title chasers are currently on the go after successfully winning over Indiana Pacers with a score of 132-100 in the previous game under Stephen Curry, who is securing his 26-point lead to the road, thereby carrying the momentum of the game road trip to the upcoming game at Oracle Arena. The team which has taken home the last three series title is all prepared to welcome yet another Larry O’Brien Trophy. The Warriors with an average of 119.1 points per game is first on the league and fourth in rebounding with 46.8 boards per contest. The young team of remarkable talents who are currently fourth in the league with 115.7 points per game is also taking their last win against the Lakers hoping to break the previous series winners, under Joel Embiid who has maintained the team’s 19-point lead. Jimmy Butler, who has abstained from the past few games due to injury has returned which also is a contributing factor for 76ers’ last win. 76ers’ Embiid, Butler, Chandler, JJ Reddick, and Simmons are predicted to open the upcoming game while Warriors is said to open with Stephen Curry, DeMarcus Cousins, Klay Thompson, Draymond Green, and Kevin Durant. While obviously, the odds are in favor of Warriors as they are holding tight to their lead, 76ers too, packed with talent might tackle and defeat the consistently leading team. This might turn out to be one of the best games of the series and it is to see who is going to be the winner with such a tight contest.